There are many similarities between computers with OSX and iPad devices with iOS. Emails, videos, images, and editing documents. Different though is how files are managed. 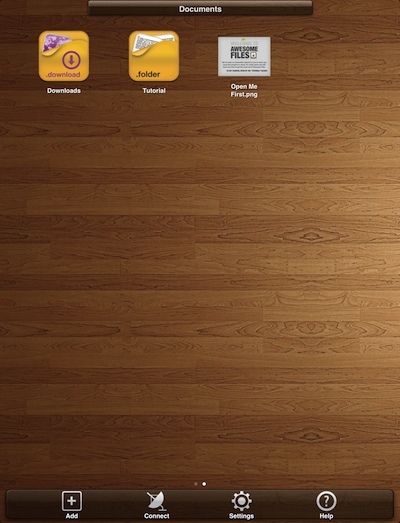 A few apps allow for folders to be created for sorting documents or images, generally though files are in long lists. Files are grouped not usually into folders, instead by date or tags. While this may be the way all computers will also be in the future, folders of grouped files is still a familiar way to manage content to find later. 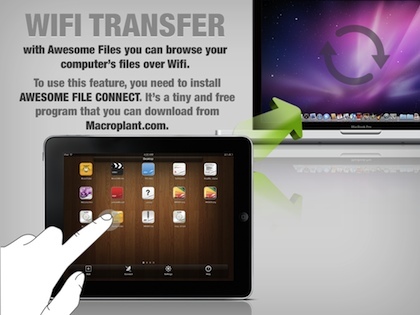 The folks at Macroplant LLC felt that folks may like to handle files on their iPads more like they do on their computers so they have released Awesome Files. The Universal App lets you create folders, add and view files to those folders as well share with others. 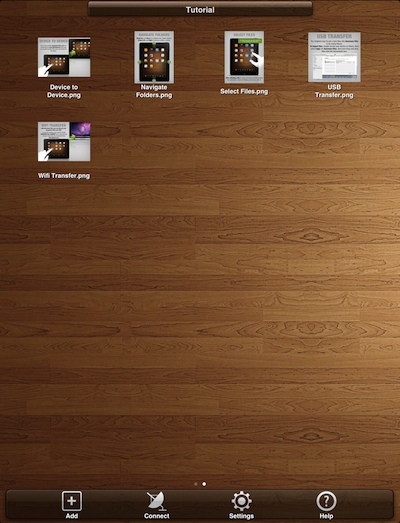 At the top level, Awesome Files supports folders and individual files. Tapping a folder ‘opens’ the folder to show the files within. The files can be viewed by tapping. 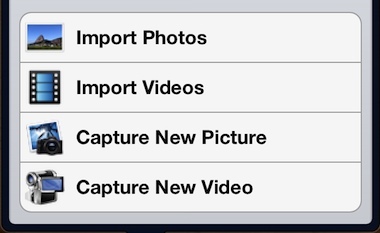 Then, swipe across the file to move through the files in the folder. Using two fingers, expanding creates a box to select multiple files at a time. To move back up to the folder layer, just swipe up/down or to the next folder by swiping to the side. 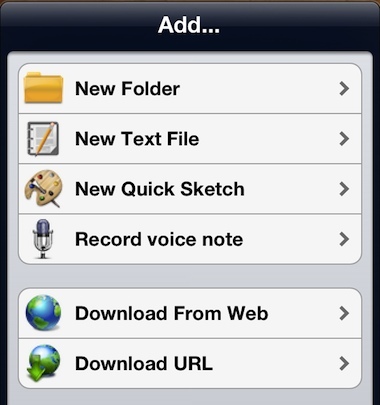 Files and folders can be created via the Add button within Awesome Files, or imported from other locations and devices. Files are not trapped on the iPad, popular online storage and cloud services are supported. Select a service, enter your login/pass to allow files to be moved to and from the services. 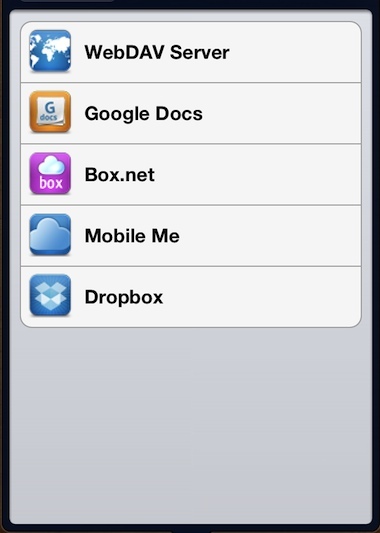 Awesome Files will also allow folders to be set up, moved and edited between the app and the online locations. Sharing files and folders can be done beyond cloud services. 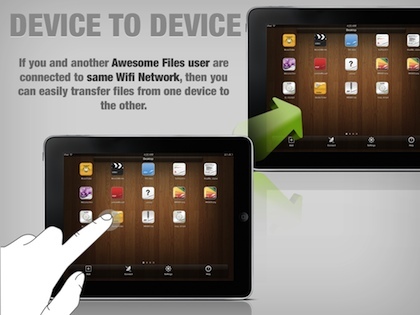 Awesome Files also allows tossing a file from one device to another – whether those devices is iPad to iPad or iPad to Computer.